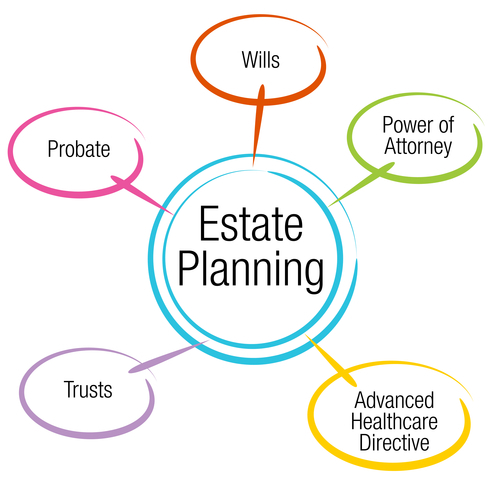 Estate planning is sometimes seen as a grisly and morbid affair, but nothing could be farther from the truth. Everyone has something that they are leaving behind, and ensuring that your wishes are followed when you are no longer here is just good sense. However, as the saying goes, only two things in life are certain, and both apply in this case. The IRS released the guidelines for the 2017 Estate and Gift Tax Limits in October of 2016. The individual exemption for estates is up to $5.49 million per individual, a $40,000 increase from 2016’s $5.45 million. So a married couple could leave just shy of $11 million to their heirs without paying any taxes. This becomes important as parents try to use every bit of their exemption to avoid the crushing 40% federal estate tax. Now with another $80,000 to play with, a family can seed a trust or even fund a GRAT with the help of their qualified CPA. Keep in mind that this amount also includes any gifts that you give during your lifetime to your heirs that exceed the annual gift tax exclusion. Essentially, the annual gift tax exclusion is $14,000 that you can give away to as many individuals as you like without paying taxes. If you give over that amount to anyone, then it counts against the $5.49 million Estate and Gift Tax limit. Using the annual gift tax exclusion to your benefit smartly is one of the ways that a CPA can help you. One of the primary ways you can not only use the exclusion but increase its value is to place the gift into a trust. Additionally, gifting the $14,000 at the beginning of the year lets the principle amount grow as much as possible, giving your gift legs that grow beyond your initial contribution. Another way that you can reduce your estate and still ensure that your heirs reap the benefits is by contributing to their education or medical needs. You can make unlimited payments to medical or educational institutions on someone else’s behalf without incurring any sort of taxes. You just have to make sure you pay the provider directly and not give them to a relative to pay the provider. We at Camputaro can ensure that your funds are being disbursed to the correct places to minimize your tax debt. Another thing to remember is that spouses do not automatically get to take advantage of the nearly $11 million exemption if one dies before the other. Each spouse gets their own $5.49 million limit, but it doesn’t automatically carry over upon death. You don’t have to worry about estate taxes when one spouse leaves all or a portion of their assets to the other, which might make you think you don’t need to file an estate tax return. However, if the surviving spouse wants to make use of their late spouse’s unused Estate exemption, they will need to elect to use a clause called portability on the estate tax return. Portability came into effect in 2011, and many estate planners are still unaware that you need to file an estate tax return when the first spouse dies to take portability. With portability, the surviving spouse is able to carry over the unused portion of the dead spouse’s exclusion, called the Deceased Spousal Unused Exclusion, or DSUE. It’s always a good idea for any surviving spouse to take portability, even if your net worth is below the current Estate and Gift Tax Limit. After all, if you win the lottery, or the limit is lowered instead of repealed, the portability could protect your entire estate. If you’re curious how the new administration is going to affect your estate planning, there hasn’t been any official word from the White House. Donald Trump’s proposed tax plan was revealed in April of 2017, and the scant 100-word plan didn’t have much to say on his campaign pledge to eliminate the estate tax. That means that there shouldn’t be much of a change from the previously established 2017 rules sent out by the IRS and the 2018 guidelines. Of all changes likely at this point, only a small increase in the tax exemption is likely to occur. Knowing what taxes are going to apply to your estate after you’re gone is important to ease the financial burden on your loved ones. That’s where estate planning comes in. It aims to minimize the amount of taxes that your children will have to pay as your money and holdings transfer to them. That’s where a qualified team of CPAs like ours can help you. We keep ourselves abreast of all of the changing estate and gift tax laws, allowing you to adjust your estate plan accordingly.